travel note: xkeken cenote, mexico. 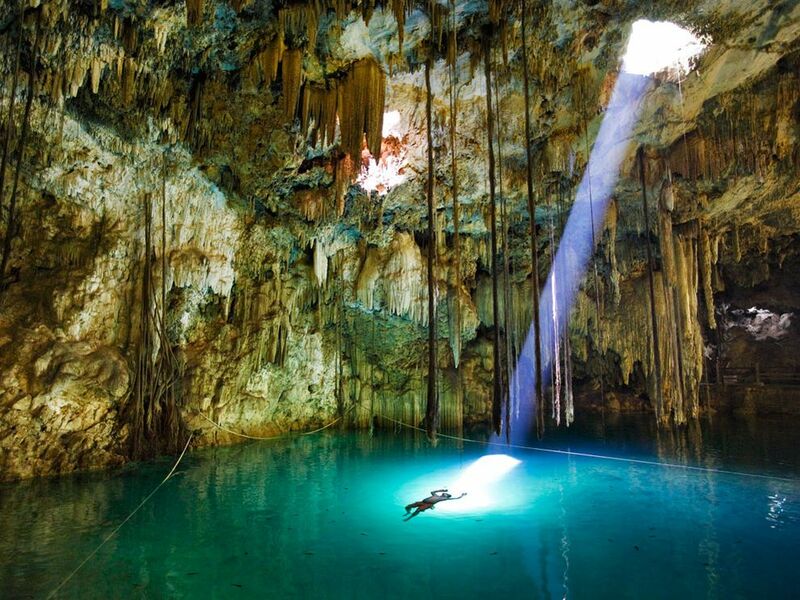 Xkeken Cenote has been on my travel “wish list” since National Geographic published this photo last year. There are literally hundreds of cenotes, or sinkholes filled with groundwater located in Mexico, but Xkeken Cenote is the one of the most famous. Located in Mexico’s Yucatan region, it was a point of spiritual connection for the Mayans, who believed that this natural well led to the underworld. Today, it’s one of Yucatan’s most popular tourist spots, drawing thousands of visitors each year. « travel note: havana, cuba.